Brimming with concise descriptions and stunning color photographs, the National Audubon Society Pocket Guide to Familiar Birds of North America: East is designed to be compact enough to literally fit into any bird-lover's back pocket. This streamlined volume contains; an easy-to-use field guide identifying 80 of the most frequently encountered birds in the Eastern region bounded by the Rocky Mountains and eastward towards the Atlantic Ocean; a complete overview of birdwatching, covering basic identifying field marks, expert advice on when, where and how to look for birds and tips on attracting birds to make your backyard a haven for colorful songsters. This pocket guide is packed with information; detailed photographs and diagrams, specific descriptions of each species' important field marks, regional maps depicting nesting and winter ranges, a glossary of bird terms and a guide to various bird family trauits. 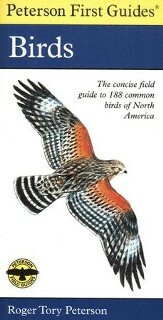 Whether your home is in a remote countryside or in a populous city, you will derive hours of pleasure observing and learning about birds, and the National Audubon Society Pocket Guide to Familiar Birds of North America: East is an excellent and convenient reference guide to accompany any bird-lover. 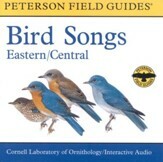 This streamlined volume identifies 80 of the most frequently encountered birds east of the Rocky Mountains. It includes detailed photographs and diagrams, regional maps depicting nesting and winter ranges, and a complete overview of birdwatching. 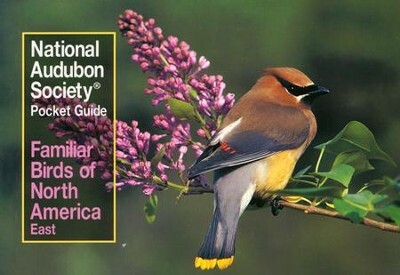 Whether your home is in a remote countryside or in a populous city, you will derive hours of pleasure observing and learning about birds, and the National Audubon Society Pocket Guide to Familiar Birds of North America: East is an excellent and convenient reference guide to accompany any bird-lover. The late John Bull was a leading authority on birds of the northeastern United States. He is the author of two classic books on eastern birds, Birds of the New York City Area and Birds of New York State. The late John Farrand, Jr., wrote several field guides and watched birds in North America, Central America, South America, Europe, Turkey, and East Africa. I'm the author/artist and I want to review Audubon Pocket Guide: Familiar Birds of N. America: Eastern Region.